These days, there’s a lot of talk about alternative fuel vehicles. From hydrogen to electric, from flex fuel to bio-fuel, automakers are always in pursuit of the next big revolution. This phenomenon isn’t new, however. Since the beginning of the automobile, engineers have tinkered with different types of propulsion. Production and concept cars have run on everything from alcohol to nuclear. And 50-years ago, Chrysler’s answer was the Turbine Car. 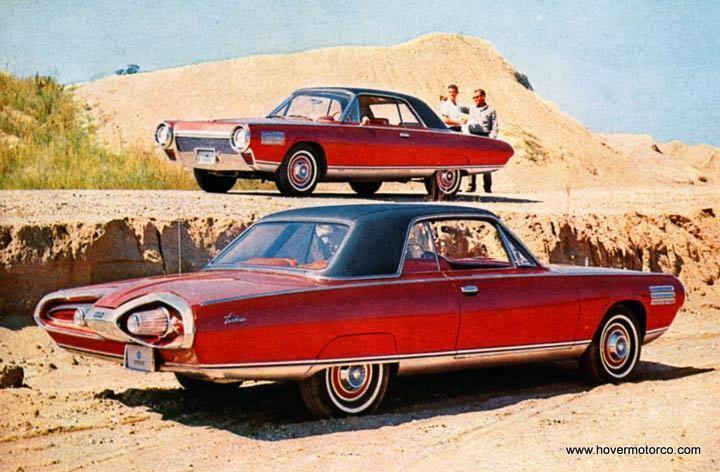 The Chrysler Turbine Car arrived on the scene in 1963. Only 50 of them went into “production,” with five more built as prototypes. The production models were then loaned out to people for real-world testing. The point of this experiment was to get feedback about the revolutionary turbine power plant under the hood. Instead of the normal six or eight cylinder engine, a 130-hp (oh, and 420 lb-ft of torque at zero RPM) turbine provided the punch. The theory was that with less moving parts, the turbine engine would last longer than a conventional mill, and it could run on a wide variety of fuel choices. And generally speaking, all of this proved to be true. The Turbine Car was a little like the Mr. Fusion power generator on Back to the Future, because it could run on almost anything. Vegetable oil? Sure, why not? Jet fuel? Dump it in there. Tequila? Sí! You had to make a little adjustment when you switched from one thing to the next, but the Turbine Car had an almost goat-like appetite. Just getting to see a Turbine Car in 1963, not much less actually getting to drive one, had to be quite a thrill. With their unique, space-aged styling, and jet airplane soundtrack, they were unlike anything ever seen before. My dad said he saw one, and it was very memorable. He said it made plenty of noise and blew a lot of dust around with its exhaust. The Turbine Car was designed by Elwood Engle and Charles Mashigan. Engle had recently worked as a designer at Ford Motor Company, which explains why much of the look of the Turbine Car apes the ’61 Thunderbird. 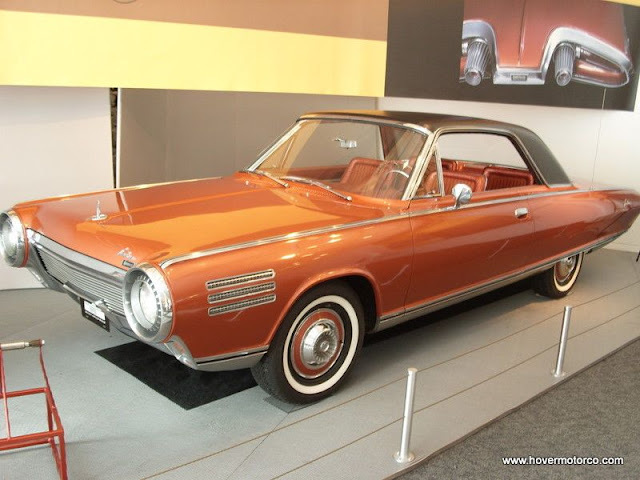 There were also design cues cribbed from an earlier Ford concept called “La Galaxie.” Before the production cars came out, Chrysler actually introduced a two-seat version of what would become the Turbine Car called the Typhoon concept. Turbine Car bodies were actually built in Italy by Ghia. 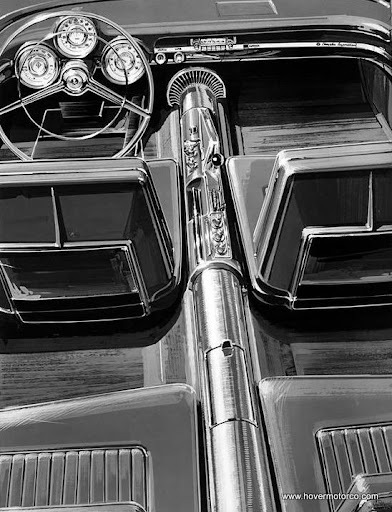 Chrysler has a particularly long history with the custom coach builder, having produced several concept and production Ghia-bodied models over the years. Although final assembly of the Turbine Cars took place in Detroit, it was much cheaper for Chrysler to outsource the actual production of such a limited number of bodies. Ultimately the 50 turbine cars were loaned to 203 different drivers in 133 cities. And for the most part, it was seen as a successful experiment. They proved to be reliable and versatile. Unfortunately, they were also expensive to build because of the alloys required to maintain cooler temperatures, and they burned a great deal of fuel (whatever that may be), especially at idle. 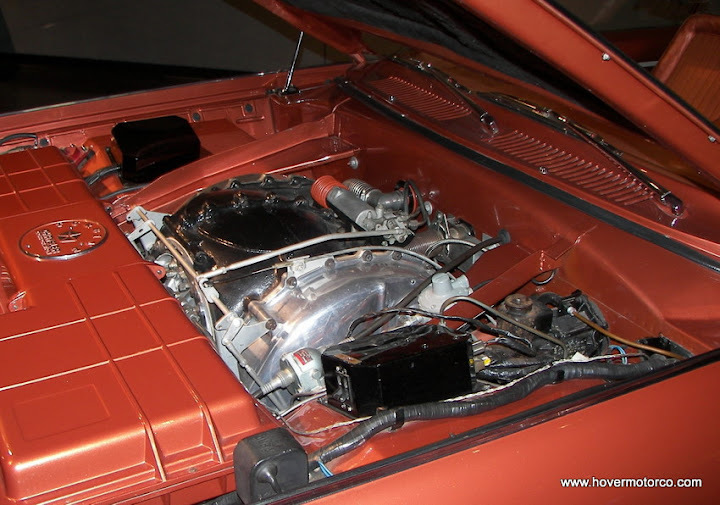 But Chrysler continued to pursue turbine-powered vehicles well into the late 1970s. The opportunity to see a turbine car today is a rare treat. Like most concept cars, 46 of the 50 production models were ordered destroyed after the experiment ended. I’ve actually had the opportunity to see three of the survivors, including one at the Walter P. Chrysler Museum, one at the incomparable Henry Ford Museum, and one at the Museum of Transportation in St. Louis. Two are reportedly in private hands, including one in Jay Leno’s Big Dog Garage that the Tonight Show host purchased from Chrysler. I think the bronze Turbine Cars are really pretty, especially the concept car-glitzy leather interiors. I like them better than most of the stuff Chrysler was actually producing in 1963. But in spite of their best efforts, gasoline still emerges as the top fuel choice, even today. Will there ever be a more viable source than good, old fossil fuel? One thing’s for sure; manufacturers will never stop trying to figure that out. The slideshow below shows various promotional photos of Turbine Cars, as well as some pictures I’ve taken of the cars in various museums. I’m also including an interesting, maybe a little bit depressing, YouTube video of the Turbine Cars being destroyed after their tenure was completed in 1964. I think you'll agree that this is all an interesting chapter in our automotive history. I never saw one in person but remember seeing these in issues of Popular Mechanics when I was a young lad. Yes MIMI use to show off many a car in her day in that magazine. Then the stories by Smokey Yunick about cars ahhh we had some great old magazines back in the day. Yes, these are way cool. Remember too the turbine powered Chevy Titan 90 truck? Very cool. Memory says Ford did one too. "alternative" propulsion goes way back - how about Stanley Steamers? 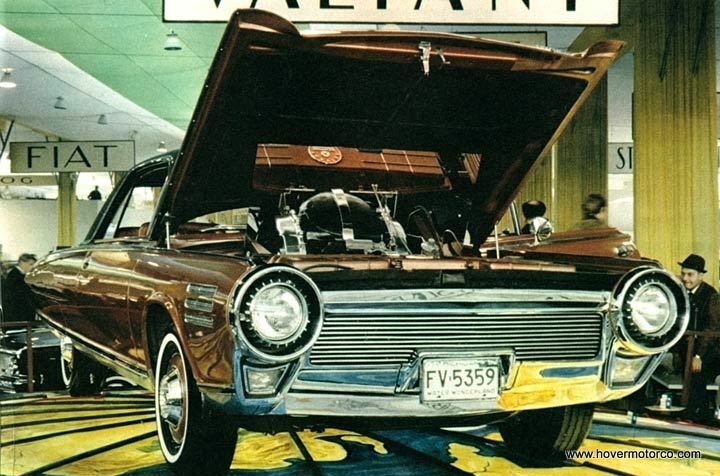 The "ElectroVair-an electric 63 Corvair. The actual first motorcycle , which was built in Massachusetts and whose name i cant remember was coal and steam powered.Shoot, one of Dr Porsche's earliest vehicles was a hybrid-gasoline engine driving electric motors propelling the AWD system. Yet tojo is trying to act like they invented something...NOT! Ford put a lot of money & effort building and testing turbines and wankel engines in the late 60's and early 70's, but neither one proved as workable as the plain, old-school piston engine. Even in today's high-tech environment, they still rule.